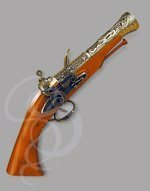 There are few instruments of death more beautiful than the dueling pistols of the 18th and 19th centuries. 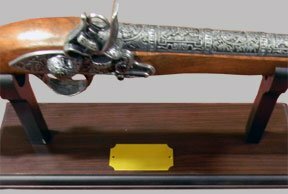 This non-firing reproduction is probably one of the nicest looking flintlocks that we sell. It has a wonderful flowing shape to it with an extended grip and satisfying feel. 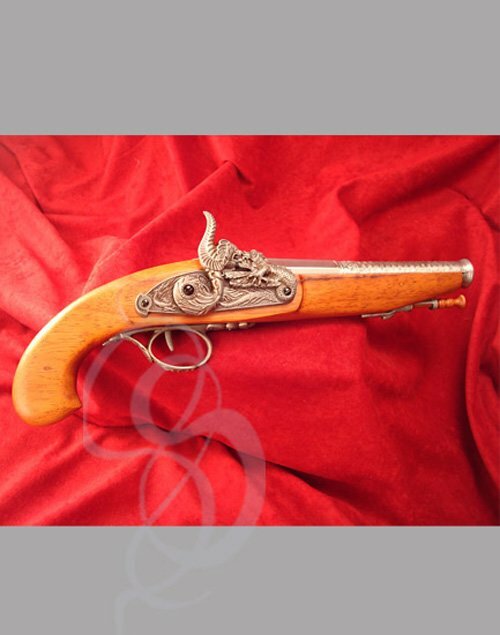 Almost every inch of the locks, stock and barrel is etched intricately. Heck, even the trigger gaurd is beautifully designed. But then, the Spanish have always been masters of design.